A trauma system is a model of care designed to care for patients with multiple serious injuries that could result in death or serious disability, including head injuries, life-threatening wounds and multiple fractures. 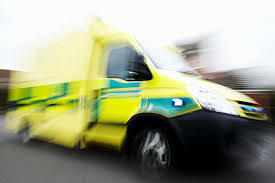 Major trauma centres are set up to provide this specialised care. They are hubs that work closely with a series of local trauma units. The Trauma Audit and research Network is the largest European Trauma registry and was established over 25 years ago. It reviews and monitors processes of care and outcomes and reports to Trusts and Commissioners. Its main focus is to improve trauma care.